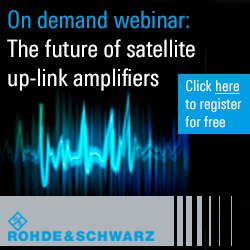 [SatNews] Information for readers interested in the myriad environments of the various and ever-expanding satellite broadcasting market segments. Ericsson (NASDAQ:ERIC) has supplied Tata Sky, a leading Indian DTH operator, with an advanced TV on-demand system that enables its eight million satellite subscribers to enjoy the flexibility and enhanced choice of unlimited movies on-demand and catch-up TV. The deployment is one of the first in the world to be based on Ericsson’s Media Delivery Network (MDN), a media-centric solution for the distribution, delivery and content management of linear and non-linear TV. It further builds on the relationship between Ericsson and Tata Sky, following the provision of an Ericsson headend system for the launch of HD services this year. This latest deployment brings next-generation, on-demand, and progressive download solutions into play, irrespective of the delivery platform. The Progressive Download System deployed by Tata Sky comprises the award-winning WatchPoint Content Management System (CMS) by Ericsson, The Ericsson Media Delivery Network (MDN), Ericsson’s Xport Time-Shifted TV and Xport Producer storage encoding, Ericsson is also providing managed services for the operation and maintenance of the project. The mobile facilities company Jackshoot is the first to deliver TV rushes over the KA-SAT satellite of Eutelsat Communications (Euronext Paris: ETL), in order to bring the program ‘Live and Lost with Blackberry’ to the U.K.’s Channel 4 television station and YouTube. Jackshoot’s location crew were able to deliver rushes and proxy files direct to Pulse Film’s central London editing suite over KA-SAT, demonstrating how Eutelsat’s new High Throughput Satellite is game-changing technology for fast video file delivery for the media industry. Channel 4’s program ‘Live And Lost with Blackberry’ allows viewers to decide which route a band takes to a show, resulting in a journey that frequently takes in rural locations. Jackshoot is the first in the U.K. to fit its location filming and editing van with an ultra compact vehicle system designed specifically for Eutelsat’s KA-SAT by Dawson, the mobile broadcast specialists Dawson. The new Dawson GC-Zero 70 product uses a low profile 240mm antenna and enables the vehicle to connect and transmit at 10Mpbs. 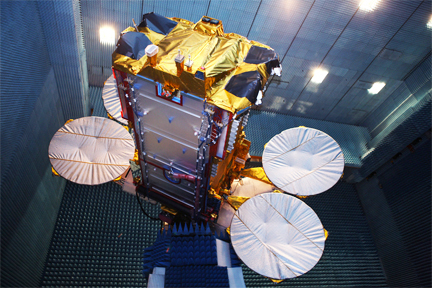 Operational since May this year, Eutelsat’s KA-SAT satellite ushered in a new generation of multi-spotbeam satellites. Its innovative concept is based on a payload with 82 narrow spotbeams connected to 10 ground stations. This configuration enables frequencies to be reused 20 times and takes total throughput beyond 70Gbps, significantly lowering the cost per bit for applications that include broadband and data services, such as film file delivery. Sencore has partnered with PBS to deliver a configuration of the MRD 3187B Modular Receiver in support of PBS's Warning, Alert, and Response Network (WARN) Act compliance project. Together with the Sencore Transport Data Injector (TDI 3000), a customized groomer solution developed for PBS, the MRD allows PBS, its member stations, Public Television (PTV), and Non-Commercial Educational (NCE) stations to enable the next generation of Emergency Alert Services. PBS will create a redundant pathway from FEMA to commercial mobile service (CMS) providers for the delivery of geotargeted emergency warning text messages to cellular telephones across the United States. Passed by Congress in 2006 and set to go live in 2012, the WARN Act, along with the FCC's 2008 Commercial Mobile Alert System (CMAS), establishes a system by which CMS providers transmit geotargeted local or national emergency messages to their subscribers' cell phones. 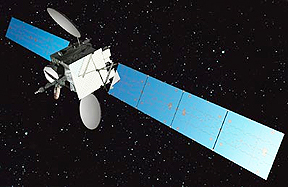 In order to provide a redundant transmission path, the CMAS requires all Corporation for Public Broadcasting (CPB)-qualified NCE television station licensees with a valid full-power digital television license that receive their programming from the AMC 21 PBS Satellite Ku- transponder 22 to carry these messages in their broadcast transport streams. CMS providers may extract these messages from the stations and transmit them on to their subscribers should the primary connection to FEMA be lost. Redundant MRD units are deployed at each master control remote transmitter site for all public television stations, where they bring in the WARN emergency alert messages via satellite transmission from PBS. From there, the receiver passes that data to the TDI 3000 via ASI or IP transport stream. The TDI 3000 then injects the WARN message into the broadcast stream in five minutes or less, without affecting broadcast service. The MRD configuration includes four RF inputs that can be independently configured with one active at a time. The unit's ASI output port can be used as an output for any of the transport stream inputs and supports transport stream rates from 1.5 Mbps to 160 Mbps. The MRD supports a full graphical Web-based user interface, a complete set of SNMP commands for NMS integration, and a front-panel interface that provides local status and configuration access. In addition, the MRDs have been outfitted with a second Ethernet control port that allows continuous connection both to the local member station's local area network, as well as to the PBS network operations center's national interconnect. 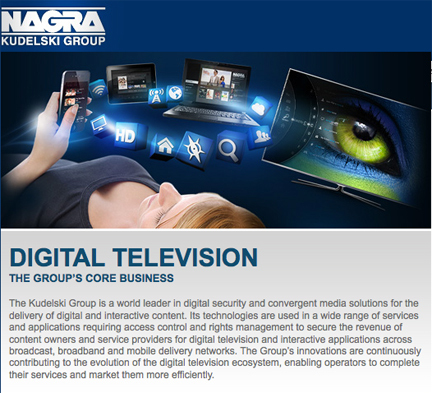 STMicroelectronics (NYSE: STM) has released the industry’s first validated drivers for OpenTV 5, the latest and most advanced set-top box (STB) middleware from NAGRA, a Kudelski Group (SIX:KUD.S) company. The validated drivers provide a rapid porting platform enabling significantly shorter time to market for operators or OEMs deploying OpenTV 5 on any class of STB featuring ST’s current STi7105 and STi7108 and also imminently on Orly, the latest-generation most-powerful broadband system-on-chip IC. Fast and customized network integration can be achieved easily with minimal customization, enabling rapid project completion taking advantage of OpenTV’s open architecture and ecosystem plus support for advanced user interfaces. 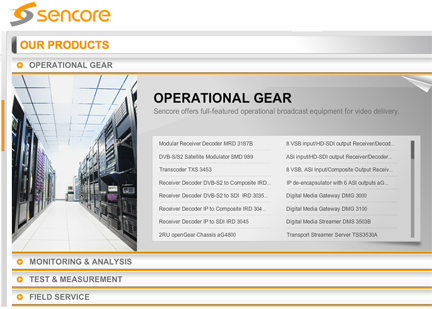 The OpenTV 5 STB middleware provides the core functions needed to support services from basic television to on-demand content and over-the-top (OTT) Internet video. Functions include support for standard television services, video/audio controls, PVR (Personal Video Recorder), security, home networking, advanced program guides and IP based services. Middlewares such as OpenTV 5, which fully leverages Linux, open standards and the latest chipset developments, reduce time to market while allowing service providers to control and rapidly customize the look and feel of their services and so remain independent of their equipment vendors. The ST chipset’s features include powerful video processing, 3D graphics for advanced user interfaces and gaming, hard-disk and USB connectivity, and are compatible with standards such as HTML5 and Digital Living Network Alliance (DLNA) for content sharing supported by OpenTV 5. The ST chipsets validated with drivers for OpenTV 5 are available with embedded NAGRA On-Chip Security (NOCS) which ensures the integrity of customer equipment by using a hardware root of trust. ST’s NOCS-certified chips can be used with NAGRA Conditional Access (CA) and NAGRA Digital Rights Management (DRM) software to create a strong content-protection environment.